Complicated as it may seem, South Korea is a paradise that offer amazing places and natural beauty. 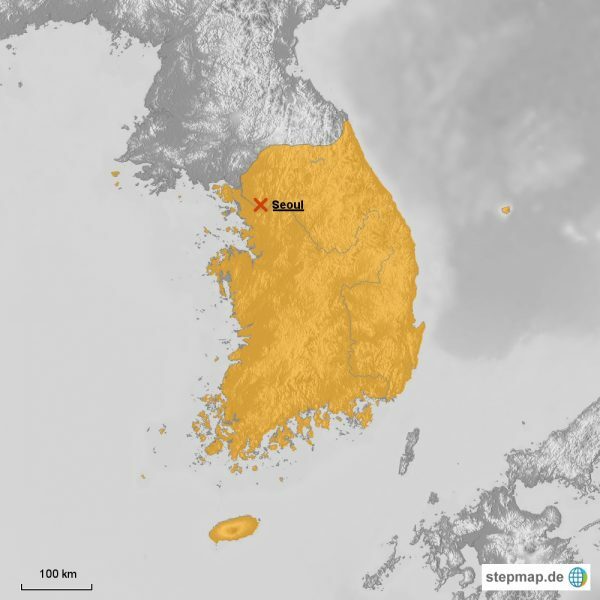 Formally known as the Republic of Korea, the country is a peninsula situated in East Asia. Sharing land borders with North Korea, this country is home to several world class artists and landmarks. Second largest metropolis in the world and the capital city of South Korea, Seoul is also the 14th largest city in the world. This destination is a perfect blend of modern and traditional Korea because of the combination of innovative and historical structures within the city. The largest island in the Korean Peninsula located in the southern coast of South Korea, Jeju Island is the only Special Autonomous Province in the country. This is one of the most popular destinations not only for foreign tourists but also for local tourists. Jeju Island is surrounded by breathtaking wonders of nature and several historical structures like palaces and folk villages. The Demilitarized Zone is a 250 kilometers long and 4 kilometers wide land border between the North and South Korea. Ironic as it may seem, its name is completely the opposite of what is seen in this destination. The Demilitarized Zone is considered as one of the most heavily militarized borders in the world. One of the most visited tourist destinations in South Korea, Gyeongju is often called the “museum without walls.” With several ancient structures and historical heritages, Gyeongju is remarkably one of the country’s hidden treasures. Palaces, temples and other ruins are some of the main attractions in this destination. A traditional village dated way back Joseon Dynasty, Hahoe Folk Village plays a significant role in South Korea’s history. Traditions, beliefs and culture of the Joseon Dynasty are still present and still being practiced in this destination. A magical experience and ambiance awaiting its tourists, Hahoe Folk Village is truly a well preserved tourist attraction. Situated east of the Korean Peninsula, this picturesque wonder of nature is one of the most popular nature reserves in South Korea. Seoraksan National Park is famous to nature lovers as well as typical tourists because of several spectacular sceneries in this national park. Seoraksan National Park not only showcases fascinating natural beauty, but it also bear some historic structures like temples from the Shilla dynasty. One of the “Five Grand Palaces” in South Korea built by the kings of the Joseon Dynasty, Changdeokgung Palace is situated in Jongno-gu in Seoul. This destination is enlisted as UNESCO World Heritage Site in 1997 and labeled as an outstanding example of Far Eastern Palace architecture and garden design. Considered to be the most extraordinary among the five famous palaces, Changdeokgung Palace unifies well with its surrounding. Previously tagged as the largest market to antiques and artworks in South Korea, Insadong is undeniably is the most visited shopping center for both locals and tourists. Insadong caters the perfect blend of the past and the present culture of South Korea. Surrounded by cozy cafés and sophisticated art galleries, tourists will feel the sense of how it was ages ago in this destination. The third heavily populated cities after Seoul and Busan, Incheon is a metropolitan city situated northwestern of South Korea. This destination is said to have been inhabited since the New Stone Age. Incheon is also the world’s largest metropolitan area by population. Busan is where the biggest port city in South Korea is located and one of the world’s busiest seaport. An urban city as it may seem, this destination is known for its beaches, hot springs and other wonders of nature. This destination offers classy cafés, cozy dinners, laid-back bars and fish markets which only proves that Busan is a city that serve all types of tourists.